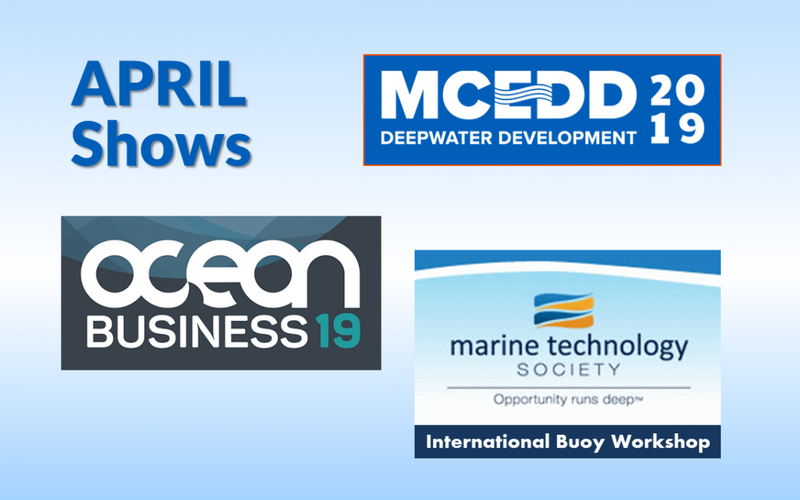 DeepWater Buoyancy, Inc. will be participating in three shows in April. Come and meet us face to face. Share some thoughts. Asks some questions. Enjoy some chocolate. Marine, Construction & Engineering (MCE) Deepwater Development is recognized as the leading conference addressing technical issues related to engineering, development, and production of oil and gas in deep and ultra deepwater arenas around the world. As our industry confronts new challenges, the sharing of deepwater experience will play a critical role in improving the quality, safety, and economics vital to the future of the industry. The mission of MCEDD is to provide a focused event, based in Europe and completely dedicated to the advancement of Global exploration and production. The conference addresses the myriad of technical issues and challenges confronting this industry, while offering networking opportunities unrivaled by any other industry event. Engages key members of the deepwater oil and gas community by providing a stage for world-class technical discussions focusing on the technology, innovation and experience paving the way to realizing a future of increasing demand. The technical program works together with the focused exhibition and valuable networking opportunities to create an environment conducive to better understanding the long-term vision of the global deepwater industry. Ocean Business is unique. 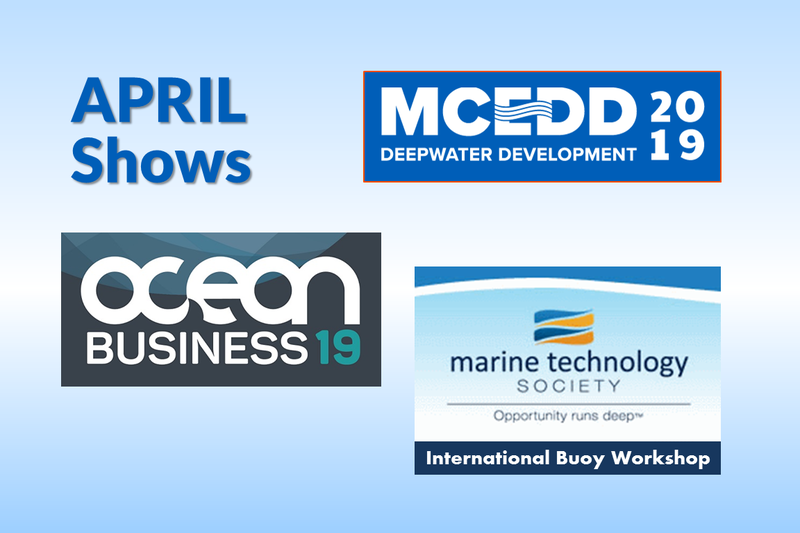 Not only can visitors meet face to face with 330+ exhibitors from across the globe, they can also see the latest products and services first hand with over 180 hours of free to attend live demonstrations held on-board vessels, in dockside waters, in a test tank and in classrooms. Visitors can also attend the Offshore Survey conference and a variety of free to attend co-located meetings held by leading organizations in the industry. Social activities will also run alongside, providing all important networking opportunities with colleagues old and new. DeepWater Buoyancy can be found at booth S10. CSIRO Marine Laboratories | Hobart, Tasmania, Australia. MTS is having the FIRST International Buoy Workshop. The Buoy Workshop has been held for many years in the US, but this is the first time the event will be held outside the US. Commonwealth Scientific and Industrial Research Organization (CSIRO) will be hosting the event at the CSIRO Marine Laboratories in Hobart, Tasmania, Australia. The 2019 Conference Theme is “Buoy Technology for Extreme Environments”. It’s all about making critical measurements offshore and getting data from the oceans back to shore. DeepWater Buoyancy is co-sponsoring the event and will have an exhibit table. DeepWater Buoyancy creates subsea buoyancy products for leading companies in the oceanographic, seismic, survey, military and offshore oil & gas markets. Customers have relied on our products for over thirty-five years, from the ocean surface to depths exceeding six thousand meters.